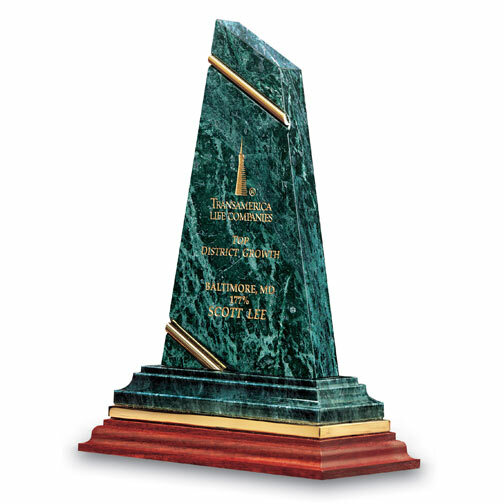 Endow your people and enrich your organization with a fresh new recognition award that expresses personality and striking individualism. Genuine Marble, with its sheer beauty from Nature's perfect workshop, is precisely sculptured and incorporated with brass, brass accents, and select mahogany stained maple. Reward those creative individuals whose superior efforts you truly appreciate! Presentation/Gift box included.